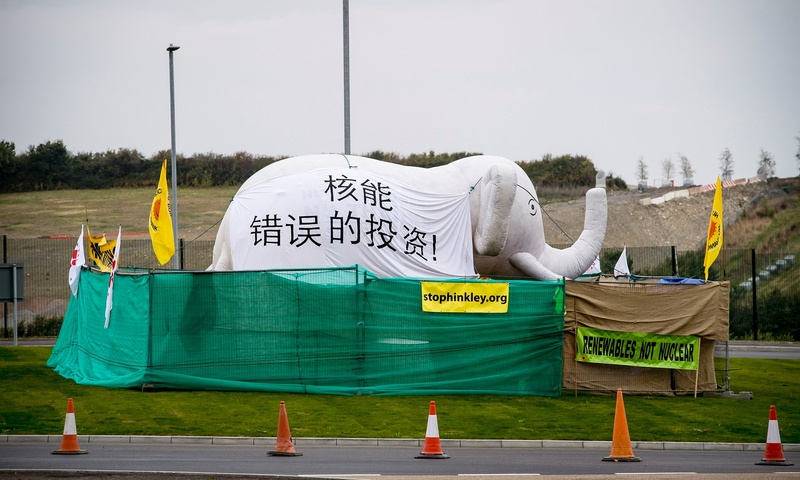 On Wednesday Oct 21, the British Prime Minister Cameron will sign a complex financing deal with the Chinese President Xi for the new Hinkley Point C nuclear reactor complex. This will be one of the most expensive contracts of any type ever signed anywhere. Bloomberg claims this is the most expensive nuclear project ever. It will cost more than the British Olympic Games, the new second terminal at London Heathrow airport and Crossrail (the 40 station expansion to the London light rail system) combined. How expensive is it? Well, the construction costs (including financing) alone are 24.5 billion British Pounds (US$37.8 billion). The total capital costs for these two reactors will be at least 34 billion BPS (US$52.5 billion). But the price tag is only the beginning of this deal’s problems. 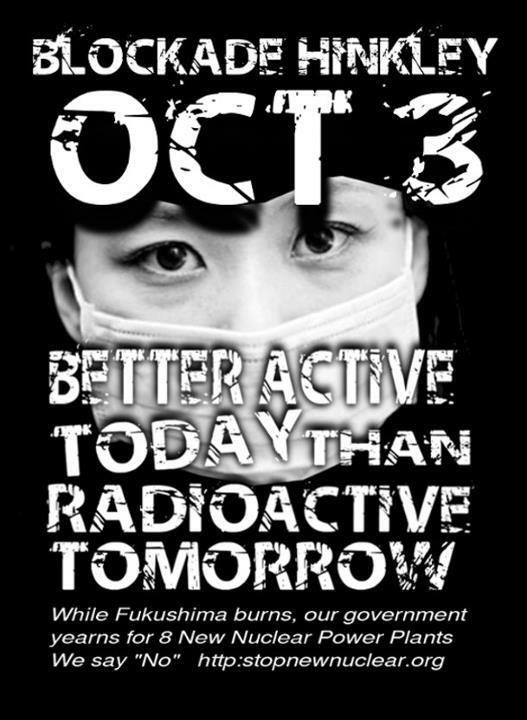 To understand how terrible an investment this is, review the other attempts to build reactors of the same design. Most recently engineered commercial reactors are typically about 1000 MWe, this French designed system bucks this trend and theoretically produces over 1,600 MWe. But bigger is not always better. This design is called European Pressurized Reactor or EPR for short. There are two reactors of the same French design under construction elsewhere in Europe, one at Olkiluoto, Finland and the other at Flamanville, France. The Finnish reactor was started first and is now 9 years late in completion and has almost tripled in cost. Originally, this project was a joint venture between EdF/Areva and the Germans company Siemens. The project has gone so poorly that Siemens, the largest nuclear engineering company in the world at the time, dropped out of the project and was promptly sued by the Finns for 2.5 billion Euros (US$2.8 billion). 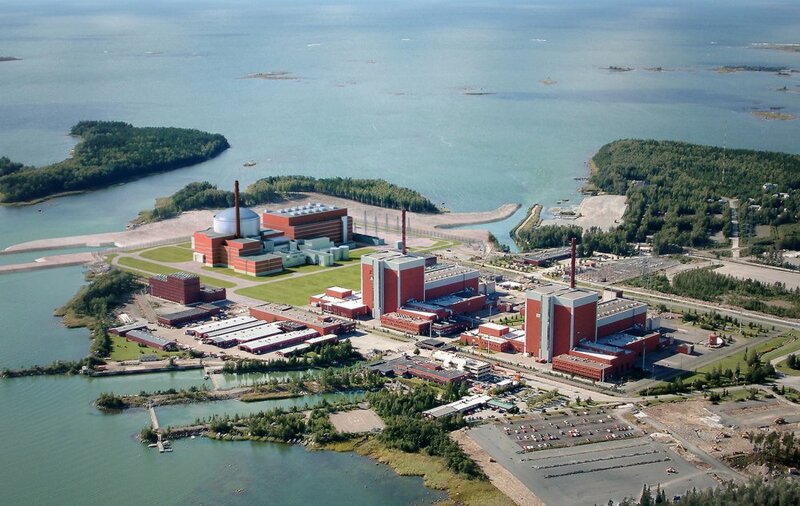 In May of this year, the very pro-nuclear Finns also decided to cancel the second reactor of this type after so many problems with the one under construction. There are also several lawsuits between the French nuclear construction firm, EdF and the Finnish utility. 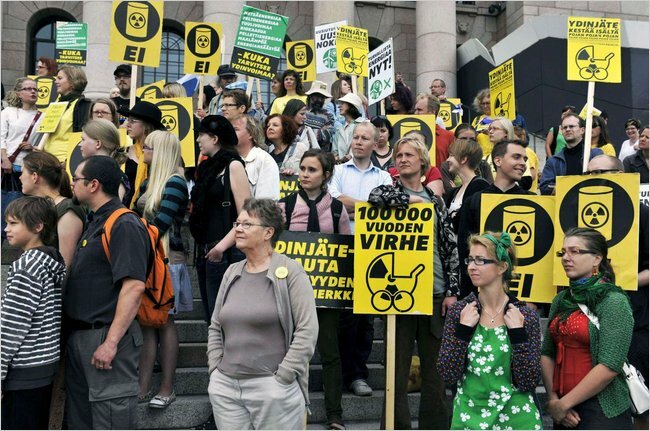 Finns protesting 2010 parliament decision to build to 2 additional EPRs, Protesters were right – both reactors have been cancelled. The French state owned nuclear construction company, Areva, took over 4.5 billion Euros (US$5.1 billion) in losses for the Finnish reactor. Areva’s stock has lost 85% of its value since 2007. This combined with other losses on EPR construction were large enough to force Areva to cut thousands of jobs and ultimately be merged into the French state owned EdF to avoid bankruptcy. The experience in France at the Flamanville with this same reactor design is even worse. As we have come to expect, this reactor is also years late and over triple its original budget. The Italian utility ENEL was forced out of this project when the Italians voted overwhelmingly in 2011, after Fukushima, to not be involved in nuclear power projects. Recent revelations of fabrication flaws in the pressure vessel have put completion of the Flamanville EPR project in question (delays and overruns, no matter how severe, almost never stop reactor projects). This 425 ton pressure vessel literally holds the nuclear reaction and the French nuclear inspectorate (the equivalent of the US NRC, but it actually checks for safety) found a “very serious fault“. The pressure vessel has a metallurgical flaw owing to large areas of excess carbon in the steel causing structural weaknesses. If further tests by the French nuclear inspectorate do not come up with different results, the French nuclear construction firm, EdF, will have two choices: replace the already installed pressure vessel or scrap the entire project. Could this failed pressure vessel stop the construction of the reactor? 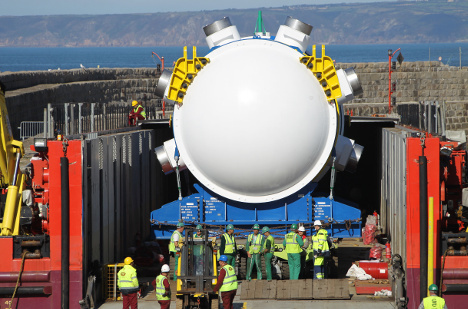 Originally, despite there being no signed contact, the pressure vessel for the first of the two Hinkley Point C reactors had been fabricated by the same company that forged the failed Flamanville pressure vessel (which is a subsidiary of Areva). Upon finding high carbon concentrations, EdF pulled back the Hinkley pressure vessel to conduct destructive tests on it which are required by the French nuclear inspectorate. At a cost of hundreds of millions of dollars to EdF. But it gets worse. 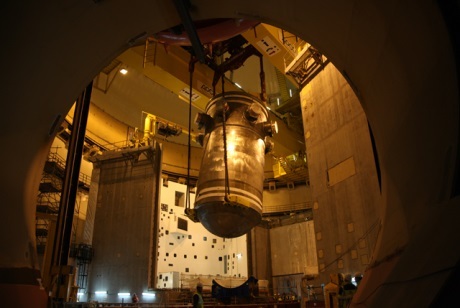 EdF and Areva installed the pressure vessel at Flamanville in October of 2013, without testing it and then spent a year building the plant around the pressure vessel. In October of 2014 they performed tests and found these problems and then informed ASN (the French nuclear Inspectorate) about them in Dec 2014. EdF/Areva put the pressure vessel inside the Framanville reactor knowing that it might not pass tests, assuming they could convince the French inspectorate that it was okay. They were basically gambling the functionality of the plant and the safety of the local inhabitants on their political power to push this project through. Is that the type of company you want to be working with? It gets worse. The finance guarantees [for Hinkley Point C] have been approved by the European Commission – but subject to a number of important conditions. These include a so-called ‘Base Case Condition’ (BCC) relating to the Flamanville EPR. Namely, that if the Flamanville reactor is not complete and operational by the end of 2020, the guarantees become invalid and bond holders must be repaid out of shareholder equity. The most recent EdF estimate for the completion of the Flamanville EPR is the 4th quarter of 2018. This estimate assumes there will be no delays for testing the defective pressure vessel and no need for replacement or any corrective action. This seems a fanciful assumption. There are also two EPR reactors under construction in China at Taishan which are further along than Flamanville. Their pressure vessels were forged at the same Areva subsidiary that messed up Flamanvilles. The Chinese safety authority has done tests, but is not releasing the results. 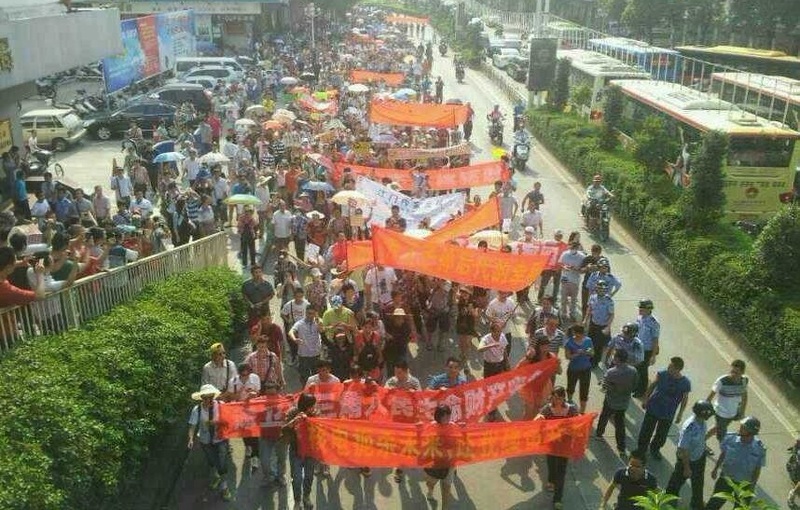 The Chinese nuclear safety authority might be the worst in the world. After some months after the Fukushima triple meltdown, the Chinese nuclear regulator made a passing comment that there were “problems in 14 areas which needed to be resolved” and that some would take 3 years to resolve. He did not mention which reactors had problems. No reporters present asked any questions, it would be disrespectful. There has been no subsequent public follow up. This was in 2012, years before these pressure vessel problems were discovered by the French. Subsequent to this, I have only found one news report mentioning the Chinese nuclear regulators. This was the French nuclear inspectorate complaining that the Chinese regulator was both overwhelmed and non-responsive. The city of Taishan has 1 million people and is less than 100 miles from Hong Kong. But wait, it gets worse. Finding financing for Hinkley Point C has been challenging. Centrica, owner of British Gas, was an initial investor. In 2013, it decided it could no longer throw good money after bad and took a £200m write-off rather than commit to a 20% stake. History may well show they got off cheap. The negotiating team of British and Chinese bureaucrats are wrestling over how much of the project China will pay for. The British want China to pay for at least 40% of the entire project. The Chinese were thinking numbers more like 30%. But the Chinese want more than interest for their loan. They also want a guarantee that they will be able to build a 1000 MWe Chinese designed reactor in the UK, to boot strap their reactor export business. This is in clear violation of the EU subsidy rules, but everyone is looking the other way. Senior UK military officials are quite concerned that deeply involving China in the British nuclear infrastructure represents a national security risk. The Prime Minister’s office dismisses such concerns. Osborne has trashed the prospects for renewables here in the UK, has consigned to history our zero-carbon agenda for the built environment, has ridiculed the importance of energy efficiency, and, in the process, has guaranteed that we have literally no chance whatsoever of achieving our statutory targets under the Climate Change Act. It is worth pointing out that there is not a single functioning EPR reactor operating anywhere in the world. All four that are under construction (Flamanville unit 3, Olkiluoto unit 3 and Taishan units 1 & 2) are both years delayed in completion and billions over budget. But perhaps the worst aspect of this entire fiasco is that this terrible deal locks the UK into paying a guaranteed price for electricity (14 US cents/kwh) which is over twice the current wholesale price of electricity in England (just under 7 US cents/kwh) at a time when the price for renewables in that country have been steadily decreasing for years. 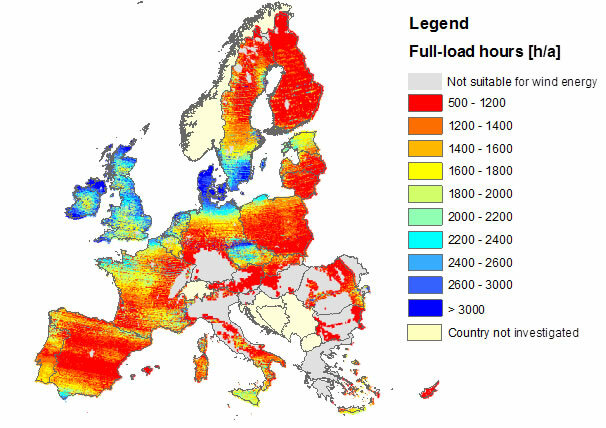 The UK Solar Trade Association says they can match this output at half the cost. Independent energy experts estimate 6 times the capacity could be supplied by wind for the same price. It is no exaggeration to say, this might just be the worst deal ever. 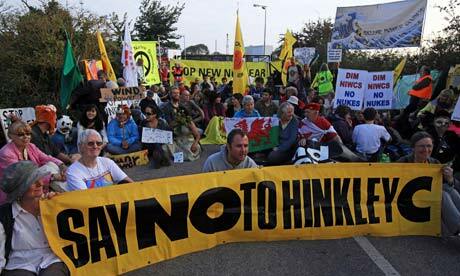 Update Oct 23rd 2015: Now that it is possible to read some portions of the agreement, we find, unsurprisingly, that the long standing promise the governments have made that there will be “No public subsidies” for the Hinkley Point C reactors, is a lie. Buried in fine print of the new paper for this deal is the sentence “The government confirms that it is not continuing the ‘no public subsidy policy’ of the previous administration.” We can expect more lying and more public costs for this terrible deal in the future. 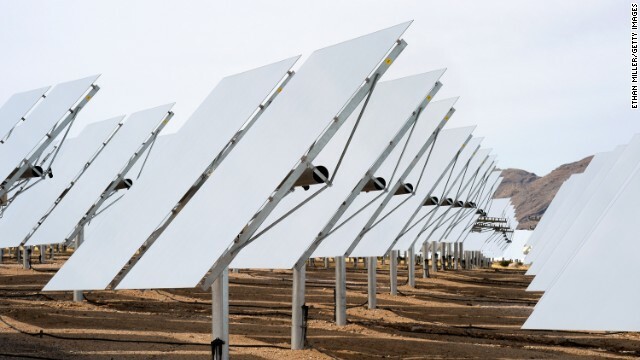 Renewables are cheaper than Nuclear – final chapter? The nuclear power industry has changed it’s marketing approach recently. New nuclear reactor construction prices are so high that the contracting construction companies have had to negotiate sweetheart deals guaranteeing artificially high prices to insure their profitability. The most recent example of this is Hinkley C in the UK. Nils Pratley warned in the Guardian last week that “if Hinkley Point’s entire output is tied to the rate of inflation for 40 years, we could be staring at a truly astronomical cost by the end of the contract.” The City analyst he consulted reassured him that “the government surely can’t be that dumb”. Oh yes? Payment to the operators, the government now tells us, will be “fully indexed to the consumer prices index”. Guaranteed income for corporations, risk assumed by the taxpayer: this deal looks as bad as any private finance initiative contract. That’s not the only respect in which the price is too high. A fundamental principle of all development is that we should know how the story ends. In this case no one has the faintest idea. Cumbria – the only local authority which seemed prepared to accept a dump for the nuclear waste from past and future schemes – rejected the proposal in January. No one should commission a mess without a plan for clearing it up. But EdF/Areva has learned it’s lessons in new construction building in France and Finland. Both of these reactor projects started estimated at about 3 billion Euros and are now years late and over budget at about 8.5 billion Euros per reactor each. Instead of under bidding the UK reactor by huge amounts, they decided to negotiate much closer to their best guess as to what the reactor was actually going to cost, with the highly pro-nuclear British government. They got a pretty good deal. 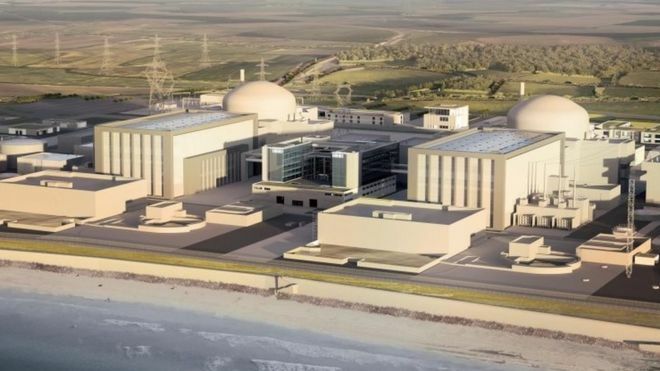 Assuming the new reactor at Hinkley Point is not blocked by the EU for unfair government subsidies, it will be the most expensive nuclear reactor ever built in the world at 17 billion BPS (or US$28.5 billion). 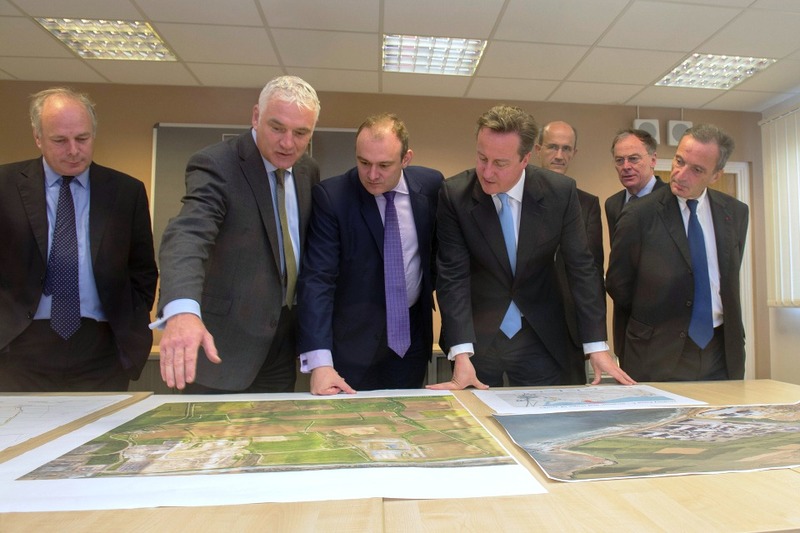 UK PM David Cameron in photo op with Areva thieves. The downside of this clever strategy is that these prices can now be compared with actual costs for operational renewable prices, like those in green energy heavy Germany. This is exactly what energy experts at Agora have done. When the Hinkley Point C proposed reactor costs are contrasted with the actual costs associated with German utility scale renewables they found renewables generate electricity at a rate 50% cheaper than nuclear. Begging the question why would you buy electricity at such a ridiculous price, if your primary reason was to reduce your carbon footprint? Ironically, Warren Buffett, arguably the world’s greatest capitalist, has emerged as the poster child for this dramatic shift. In June 2013, Buffett’sMidAmerican utility threw in the towel after a failed three-year legislative battle to require Iowa electric customers to foot the bill for the design and construction of a prototype small modular reactor. Mainstream groups like AARP vigorously opposed that fiscally imprudent investment. Earlier, MidAmerican canceled another proposed reactor in Idaho on the grounds it was not worth the money. What’s significant about this about-face on nuclear by the highly regarded “Oracle of Omaha” is that Buffett instead decided to install656 large wind turbines at a cost of $1.9 billion in Iowa, and has gone “all-in” with multibillion dollar bets on utility-scale wind and solar power and other renewable energy facilities throughout the West. But the real revolution is happening largely outside the eyes of those who aggregate electricity statistics. It is called “Grid Defection” and it is featured in an upcoming blog post, stay tuned.